In celebration of Old School's third birthday we are going to be temporarily re-opening the tournament worlds! Hop to either world 321 or 349 to get stuck in with some PvP action! Your account will be buffed to max stats. Your account will have completed all quests and achievement diaries. You will have access to unlimited tournament supplies which include almost every piece of desirable PvP gear and equipment. You will be able to start wars with as little as 1 person on either team (unlike the previous release of the tournament worlds). The FFA white portal will be open. You will be unable to leave the clan wars area. Your progress on tournament arena worlds will NOT transfer to normal worlds. On tournament worlds you will have access to tournament supply chests near the purple portals. These chests contain a plethora of desirable PvP gear that will allow anyone and everyone to pick out their ideal setup for wars at absolutely no cost. The items found in the tournament supply chests cannot be moved into normal worlds. They are temporary and will only ever exist in the tournament arena. Please note: Dragon claws will be coming to tournament worlds later on in the month. Needless to say, this should open the door for a lot of exciting PvP for all kinds of 'Scapers. Whether you're a level 3 skiller or an experienced PKer, following this week's update you'll be able to hop to a tournament world and have some fun taking on other players! These worlds will be disappearing once again at the beginning of March so don't miss out on your chance to get in on the fun! Some brand new rewards are now available from the Tithe minigame! The Tithe farming outfit, similar to the Lumberjack, Prospector's and Angler outfits, gives a total of 2.5% experience boost for farming when all pieces are worn. There are 4 parts: the hat, torso, legs and boots. The total cost of the outfit is 400 points. The Tithe seed box allows you to store any number of up to 6 different types of seeds. No more will you struggle for inventory space when you're out and about on your farming runs. The seed box costs 250 points to purchase. If you regularly find yourself around Great Kourend you may be able to get yourself a graceful re-colour! 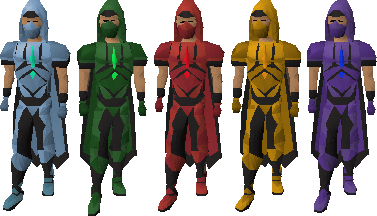 Reaching 100% favour in a house in Great Kourend will unlock a new re-colour for your graceful set. Talk to Osten in the Shayzien clothing store and he will offer you graceful re-colours for the low, low price of 15 marks of grace per item. If you're an Old School fishing enthusiast and a fan of clue scrolls, we've got just the update for you. You now have a chance of receiving a clue scroll in a bottle when fishing! The clue scroll found inside the bottle can range from easy to elite in difficulty, with the higher tiered clue scrolls being appropriately rare. The task reward from the Karamja achievement diary which boosts the coins you receive for selling items to the general store now only works when wearing the hard or elite Karamja gloves. The Wanted Quest journal is now more informative to what the player should be doing. Lecturn is now spelled correctly in the Lunar Diplomacy quest. Rellekka is now spelled correctly on the Construction cape’s teleport option. Game messages received when fishing for Karambwanji are now filtered. ‘Two Pints’ no longer prevents the claiming of the elite Ardougne Cloak when the player has 86 smithing, a level that can be boosted to the task requirement of 91. A tree at the Draynor Jail which could be cut from over a fence has been moved. ~ Still can't wait for Instant share! The idea is pretty much flawless. 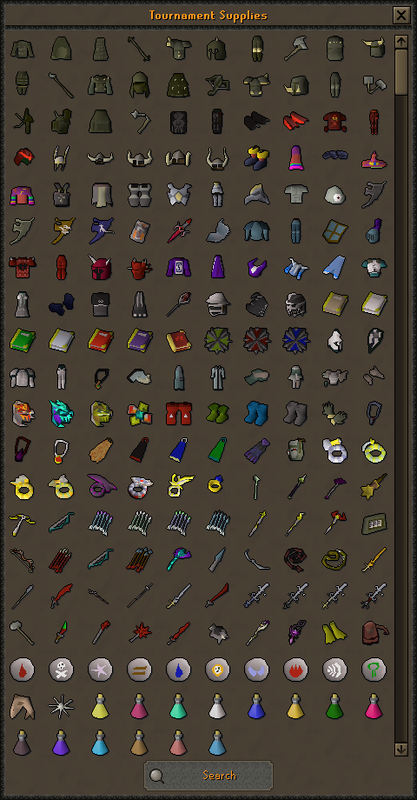 Merchants will always be flipping hilts and sigils which means teams will consistently receive a fair price for their item if not a few mill gp off depending what the item is. is far better in my opinion. Lets be real now, no one is going to be getting an ely sigil for 20 gp. People will end up leaving in offers for 100k-1m under the real price to make an easy quick profit. cool 5/21/2017 The day I claimed ownership of the Old School Content Suggestions. I've been looking forward to this one!